These Authentically styled French Casement Doors can open in or out with either door designed to open first. Attention to detail ensures our French Casement Double-Glazed Doors look entirely original, whilst providing modern standard of comfort, security and longevity in use. Multiple colours may be applied to one door set, enabling you to finish the doors with a different shade internally to complement interior decor. 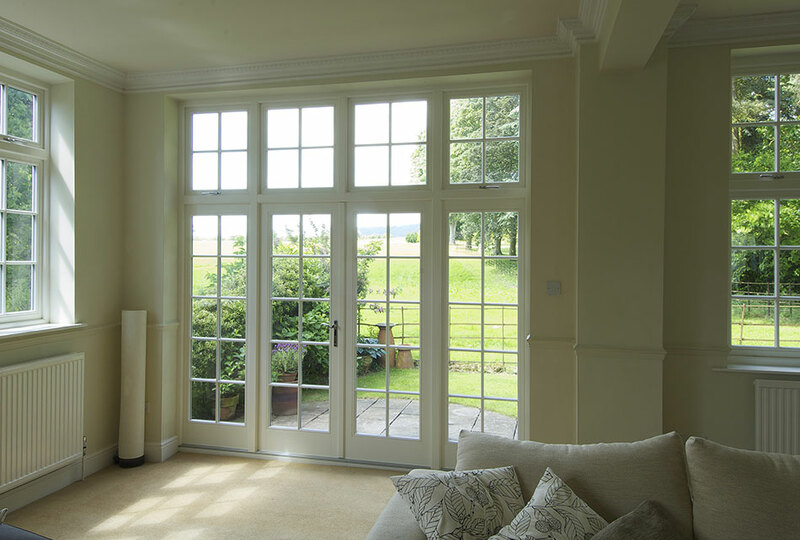 Leaded lights or glazing bars in a range of sizes may be added as required to suite with other fenestration. 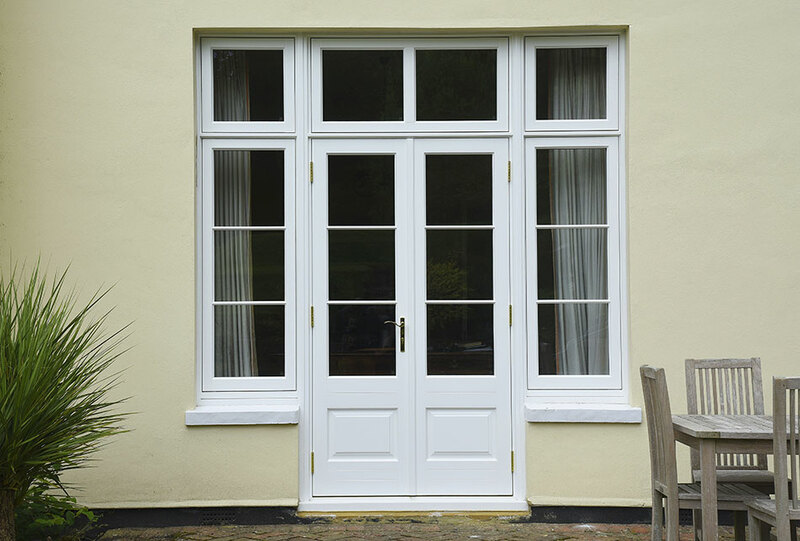 Our timber French Doors are made to the millimetre. Every aspect of your new door is customisable and available in a huge collection of styles. Let us design you a door that gives your home a real ‘WOW’ factor. Patented double capillary seal and thermally divided raised & field panels are among a wealth of features we include on every door to cut out those unwanted draughts and leaks. Our advanced double glazing is almost twice as efficient as standard double glazing. 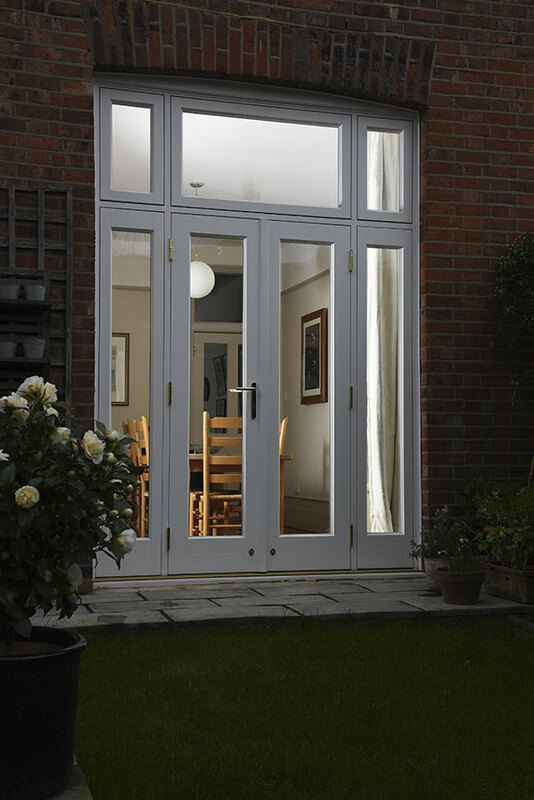 Full height locking and robust hinges make our French Doors exceptionally secure. Internally glazed so that the glass can’t be removed from the outside. Speak to one of our team about our Security+ package for ultimate peace of mind. Our advanced paint system allows us to provide an 8-year guarantee against the need for redecoration.